Contact me today for a free market analysis of your home. Click here for future properties. 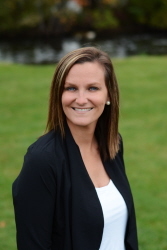 My Name is Brandy Blanchard; I am a wife, mother and Realtor servicing Southwest Michigan. For most people, real estate transactions are the biggest investment you will make in your life. I pride myself in forming lasting relationships with my clients, not only does this allow me to help serve them better, but I have made many friends in the process. My job does not end when the sold sign goes up; I am always available to answer questions for clients, or to offer them real estate advice. The buying and selling process can be very complex and confusing; no two transactions are the same. Whether this is your first transaction or your tenth, I have the experience and knowledge to get you to the closing table as quickly and smoothly as possible. Repeat clients and referrals are my greatest compliment! Since my family resides in the Otsego / Plainwell area, I conduct a lot of business there; however I have also sold many homes in the Allegan, Gobles, Martin and Kalamazoo areas.